Bowsers has drawn on its renowned design flair to create the most luxurious and stylish leash line on the market. Our innovative "double-layer" design, microvelvet fabric sewn around a core of "high denier" nylon webbing, provides superior strength and durability. 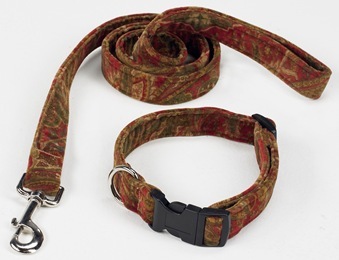 Mutli-Leash (7' x 1") option can be used as adjustable leash, "tie-out" or body leash. Machine washable.